At Auckland Urogynaecology our specialist gynaecologists work alongside their physiotherapy colleagues and with our urodynamics nurse, ensuring you get comprehensive assessment and care. Tony is a general specialist in obstetrics and gynaecology, having trained in Otago, London and Auckland. Since 1978 Tony has been in private practice in central Auckland with a part time position at National Women's Hospital and now the Women's Health part of the public service for the Auckland District Health Board. 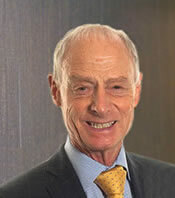 Awards include a Distinguished Service Medal from the RANZCOG and gynaecologists and an ONZM for his contribution to health service in New Zealand. As well as the rooms in Parnell, Tony consults at the Eastcare Specialist Centre in Botany Road and he is able to give women time and to help resolve complex clinical issues. Lynda completed her medical degree at the University of Auckland and then undertook specialist training in obstetrics and gynaecology in Auckland and briefly in Cambridge UK until she returned to New Zealand in 1990 where she established a busy and successful private practice. Her areas of interest are women with menstrual disorders, vulval conditions, menopause problems, post pregnancy problems, recurrent pregnancy loss and adolescent gynaecology. She also fits Mirena IUCDs in the clinic. Lynda does not do colposcopy or urogynaecology. She sees pregnant patients for obstetric care at Auckland Obstetric Centre and deliveries at National Women’s, Auckland City Hospital. She performs her surgery at Mercy Ascot Hospital and Columba at Ascot (day stay procedure). Carolyn is a general gynaecologist with a special interest in urogynaecology and colposcopy. She graduated from the University of Otago in 1993 then trained in obstetrics and gynaecology in Auckland and Hamilton, obtaining her Fellowship to the Royal Australasian College of Obstetricians and Gynaecologists in 2004. With an interest in urogynaecology, Carolyn was able to gain additional experience in both Urology and Colorectal surgery during the final part of her training. As well as working in private practice at Auckland Urogynaecology, Carolyn works part time as a specialist at Auckland City Hospital in obstetrics and gynaecology where she is a member of the urogynaecology team. 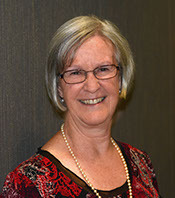 Carolyn is a member of the Australian Society for Colposcopy and Cervical pathology. She is married with three children. Tim studied medicine at the University of Auckland, graduating in 1994. He completed general obstetrics and gynaecology training in New Zealand, and then moved to England for further training in urogynaecology. Tim was accredited as a subspecialist in urogynaecology by the Royal College of Obstetricians and Gynaecologists and returned to Auckland in 2007. His specialty interest is the investigation and management of urinary incontinence and pelvic organ prolapse. As well as his work with Auckland Urogynaecology, Tim is a specialist obstetrician and gynaecologist at Auckland City Hospital and in private obstetric practice with Auckland Obstetric Centre. He is married with three children. Lynsey attended medical school at Bristol University and then migrated first to Australia and then New Zealand in 1993. She completed her specialist training between New Zealand and the UK obtaining the MRCOG and FRANZCOG. For the last 16 years Lynsey has worked as a consultant gynaecologist and obstetrician at Middlemore Hospital specialising in urinary continence and pelvic reconstructive surgery. She has worked in private practice at Auckland Urogynaecology since its opening in 2006. With a passion for urogynaecology, Lynsey is actively involved in teaching and research in the field. She is currently Treasurer of the Australasian Urogynaecology Society and the Public Relations Chair for the International Urogynaecology Association as well as examining for the RANZCOG specialist examinations. Understanding that visiting a gynaecologist can be a daunting experience, Lynsey aims to provide a friendly, informative and hopefully pleasant experience for her patients whilst providing expert care. As well as urogynaecology, Lynsey is able to see women referred for Colposcopy, general gynaecology problems and for laparoscopic surgery. Her operating lists are at Gillies Hospital, Epsom and Ormiston Hospital in East Auckland. Lynsey has three children: James, Bryony and Christopher. They have a busy lifestyle but Lynsey tries to make time for travel, skiing and art. Eva completed her medical degree at the University of Auckland and then undertook specialist training in obstetrics and gynaecology in Auckland and Sydney. Her areas of interest are women with menstrual disorders, vulval conditions, menopause problems, post pregnancy problems, adolescent gynaecology and cervical problems. Eva also performs colposcopies and LLETZ treatments for cervical smear abnormalities. Eva will fit Mirena IUCDs (using local anaesthetic) in the rooms. She does not do urogynaecology or laparoscopic surgery. She sees patients for pregnancy care at Auckland Obstetric Centre and for deliveries at National Women’s, Auckland City Hospital. Paul set up Auckland Urogynaecology in 2006, having been in both public and private practice in Auckland for several years before then. 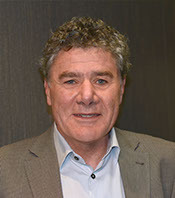 Alongside his private practice commitments Paul established the tertiary-level urogynaecology service at National Womens Hospital in 1994 and continues to lead this department at Auckland City Hospital. Christine has worked exclusively in Women’s Heath Physiotherapy for the past 30 years. She focuses on management of bladder, bowel and prolapse problems. Christine also maintains part-time practices at Waitakere Hospital and Greenlane Clinical Centre. In 1999 after many years in general private practice, teaching childbirth education and Aquanatal classes Vicki went to work at National Women's Hospital. From there she was able to focus on a broader range of physical issues affecting the health of women, in particular issues related to the pelvic floor. Since 2000 Vicki and Jill have combined their extensive physiotherapy skills and experience in women's health to provide maternity services at Birthcare. In 2002 they established their private practice for women's health. They exclusively treat female bladder and bowel problems, pelvic floor dysfunction, pelvic organ prolapse, maternity musculoskeletal problems, pelvic pain and the sensitive issues of sexual pain as well as providing pre and post-operative advice. All physiotherapists that work at this practice are especially trained to deal with complex pelvic problems, regularly attend conference and courses to keep current in the field of women's health. Since graduation Jill has worked in numerous physiotherapy disciplines in Rotorua, Auckland and overseas. She has worked exclusively in Women's Health for the past 23 years. Jill will be known by many mothers from National Women's Hospital. She continues to work part time at Greenlane Clinical Centre and is active in teaching and promoting continence issues throughout New Zealand. Emma has worked in the Women’s Health sector for the majority of her career as a nurse and also as a midwife, both here and in the UK. Emma has been able to gain experience in pregnancy care, obstetrics and general women’s health. Since coming to NZ back in 2004 she has worked in various roles, predominately at Middlemore hospital. This included five years in a Speciality role providing services and care to pregnant women with diabetes. Her role at AUG is to support the clinicians with various clinical procedures, support & follow-up clients, and ensure the preparation of clinic lists and equipment are available. Emma prides herself on providing professional care and doing the utmost so clients feel comfortable and relaxed during their visits here.